Bread fruit in Kannada is called Ber Halasu or Deevigujje, in Hindi its called Barhal. Mom prepares delicious curry from this and I always try my first hand on this recipe Rava Tava Fry which goes well as a side dish with rice or as an evening snack with tea. 1. Peel the bread fruit and cut it any shapes as desired but make sure the pieces should be thin. Immerse the pieces in water to get rid of gums and pat it dry. 2. Make a paste of red chilli powder, Amchur powder, Haldi and Salt by adding little water to it. 3. 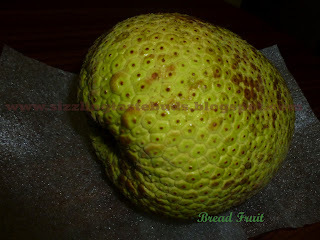 Apply the above paste to the bread fruit pieces and coat it with rava/suji and keep aside. 4. Heat 2-3 tsp oil on a frying pan and place these coated bread fruit pieces on it for frying . Close the lid and allow it to cook in low-medium flame. 5. Flip it and cook the other side till they are done. 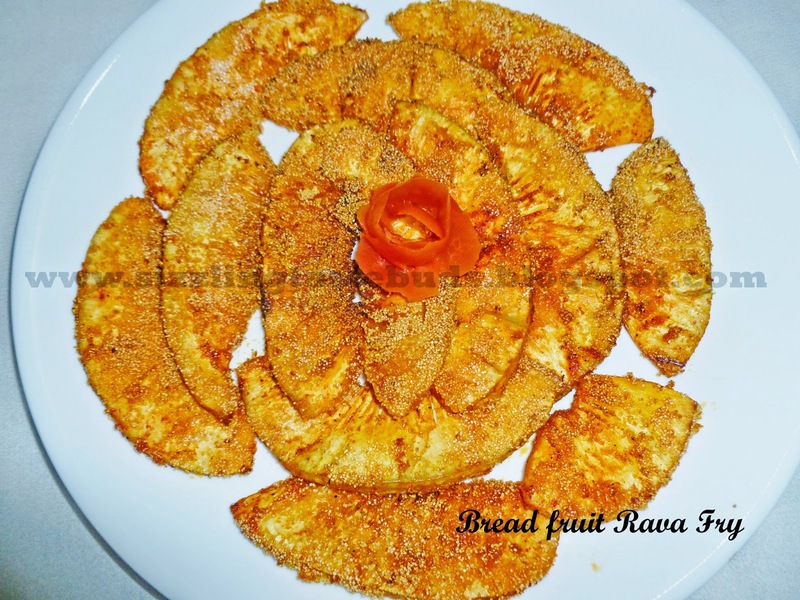 Enjoy these hot and spicy Bread Fruit Tava Rava Fry with rice or as an evening snack. Very nice recipe I tried tava rava fry, Baji,n bonda as I had purchased one digujje for 50 Rs. It was yummy. Thank you.